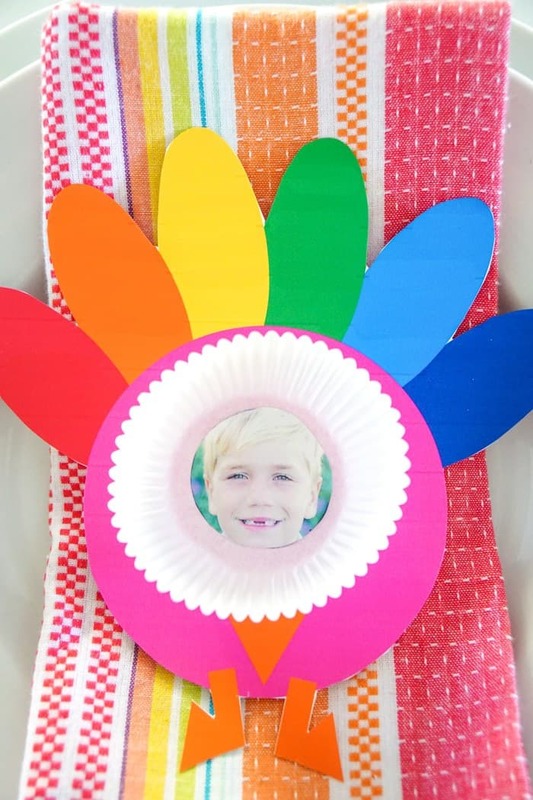 Looking for a fun turkey craft project for the kids this Thanksgiving, then look no further than this fun photo turkey craft. 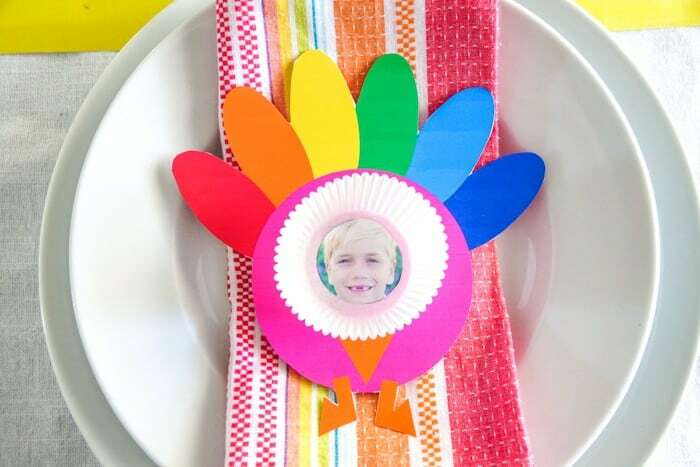 Its fun its, colorful and they also double as place settings for the big day. It should come as no surprise that Thanksgiving is a big deal at our house. Its a chance for us to gather family and friends under one roof and break bread. Added bonus is that I get to set the full table with fun colorful tablescapes each year. This is going to be a fun year for us, as we have our new kitchen. It will be fun to see how our friends and family flow through the kitchen. 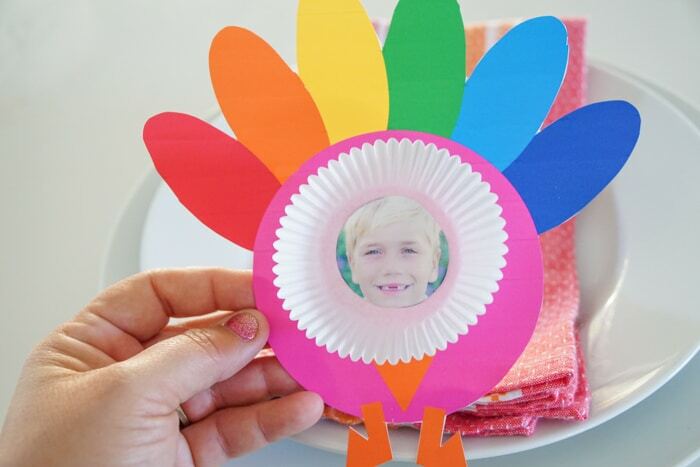 Now onto this super fun photo Thanksgiving craft. 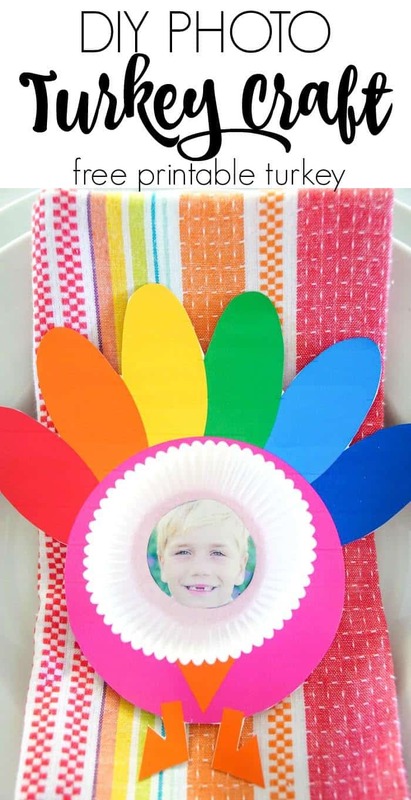 There are many folks that love our flower printable craft for Mother’s Day or any day really, and so I thought I would love any picture of my kid during Thanksgiving as well. 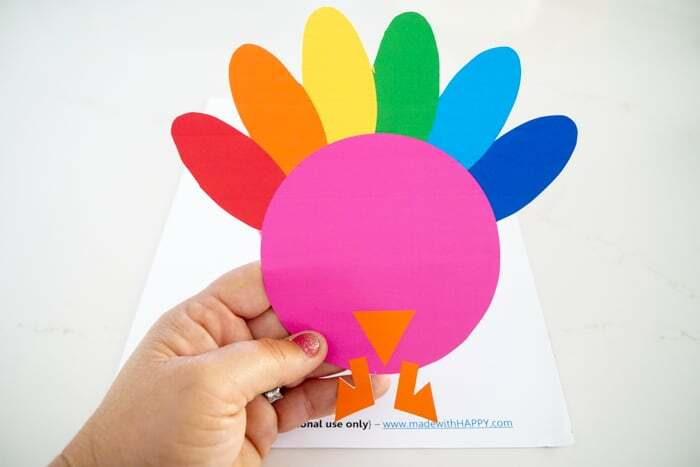 These are also fun for the kids that are on break for the Thanksgiving holiday to keep their little hands busy. 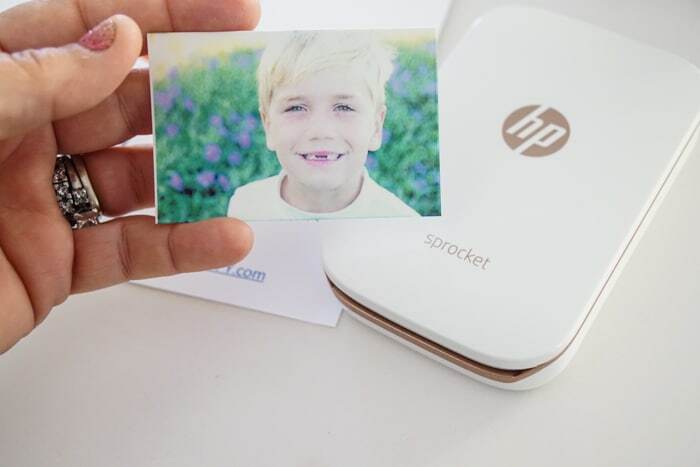 Wallet size picture of your babe – We used our Sprocket, which I love because you can take pictures on your phone of your guest as they arrive and print them right then and there! Once you have the supplies, its super easy to put together. First cut out the turkey. Then print out your cute faces on your Sprocket sticker paper, or if you are printing using a standard printer, make sure the picture (or face) is no larger than 2 inches. Cut, out the circle we included in the printable. You can use this as a guide as to the circle around the face you should cut out. If you are using the sticker paper, then peel the back of the picture and place it inside the cupcake liner. 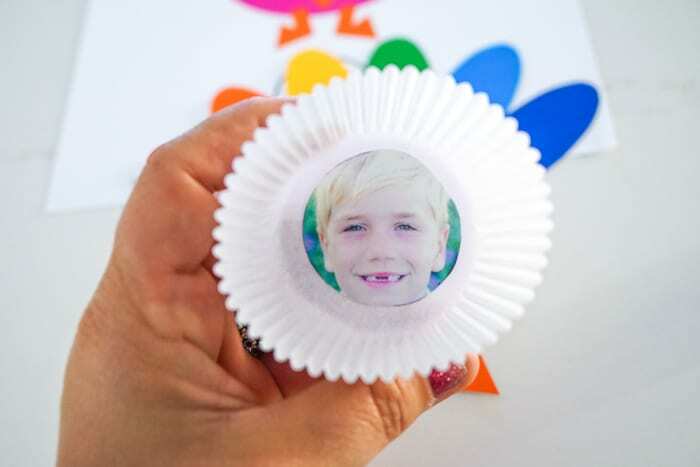 If you are using a standard picture, then place the glue on the back of the picture and then place into the cupcake holder. 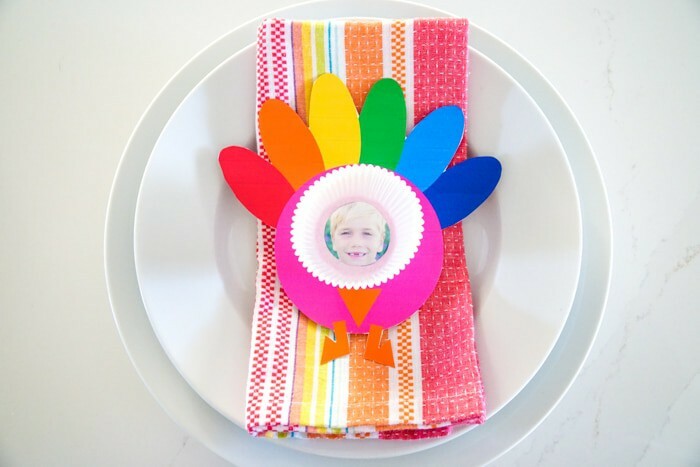 Lastly, glue the cupcake liner to the turkey! 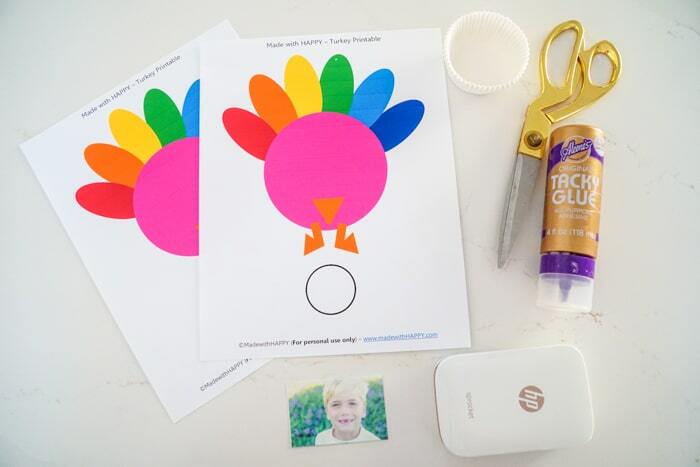 Viola you have yourself the cutest photo turkey craft ever!